Worried About Your Security Bond? Hire Our Affordable End Of Lease Cleaning Melbourne Services Now!!! Relocating to new home from your rental property is exciting as well as a tiresome and time consuming task and above all if you have agreed for the end of lease cleaning Melbourne in your rental agreement then the things becomes quite annoying and frustrating! According to end of lease agreement – you need to restore the property back to its original condition so as to get your bond back, if you left it in the same condition then you will have to forgo your bond. Remember that security bond money is normally equivalent to a full month’s rent so is worth cleaning it professionally!!! 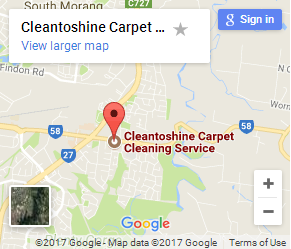 We at Carpet Steam Cleaner are a professional cleaning service firm and deemed as one of Melbourne’s most reliable cleaners. We have years of industry experience and we’ll ensure that you are 100% satisfied with our work. Our team of skilled cleaners has got the means and know-how to bring any property to pristine condition. Mould removed from tiling, shower screen free from soap scum. Carpets to be professionally steam cleaned. A receipt as proof will be required, please leave at property. So the next time whenever you are in needs of end of lease cleaning Melbourne, simply give us a call and let us do what we do best: cleanout the place to excellence!